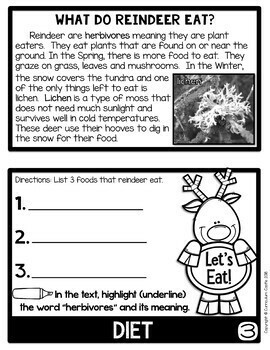 This reindeer flip book provides your students with non-fiction reading passages, comprehension activities and a craftivity all rolled into one! The double-sided flip book requires no cutting or wasted paper...just print, fold and staple. 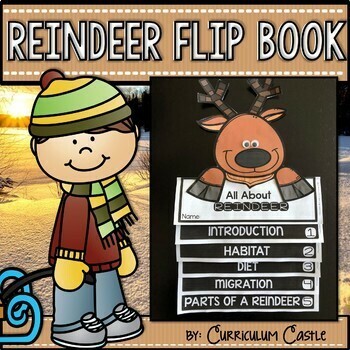 We have also included a reindeer cover topper to make your craft complete! 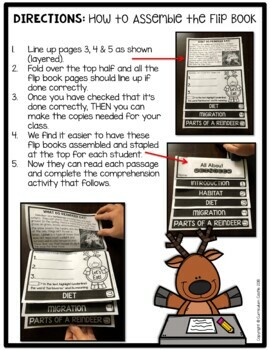 There are detailed instructions on how to assemble the flip book, reindeer cover toppers in both color and b&w, and a teacher's guide/answer key. 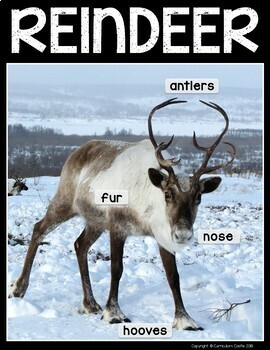 Also includes real pictures of reindeer to use as posters.